From his first time riding as a child, William Shatner has felt a deep love for horses. Whether seated in the saddle, communicating with them, or simply appreciating their beauty, his bond with these majestic animals is deep. For decades he has sought to share his joy?with children, veterans, those with disabilities, and many more?through his annual Hollywood Charity Horse Show. And here, he brings that same joy to his fans and readers. In Spirit of the Horse, the Star Trek and Boston Legal legend speaks from the heart about the remarkable effect horses have had on his life and on the lives of others. From his first horse, bought impulsively on the advice of a twelve-year-old, to his favorite horses, acquired after many years of learning what to look for, this book draws from Shatner’s own experience and pairs it with a wealth of classic horse stories, including unique retellings of the Pegasus myth and the feats of the most famous war horses throughout history. The result is a celebration that captures the unparalleled connection between humans and horses?and the power, courage, mindfulness, and healing that they can inspire in us. 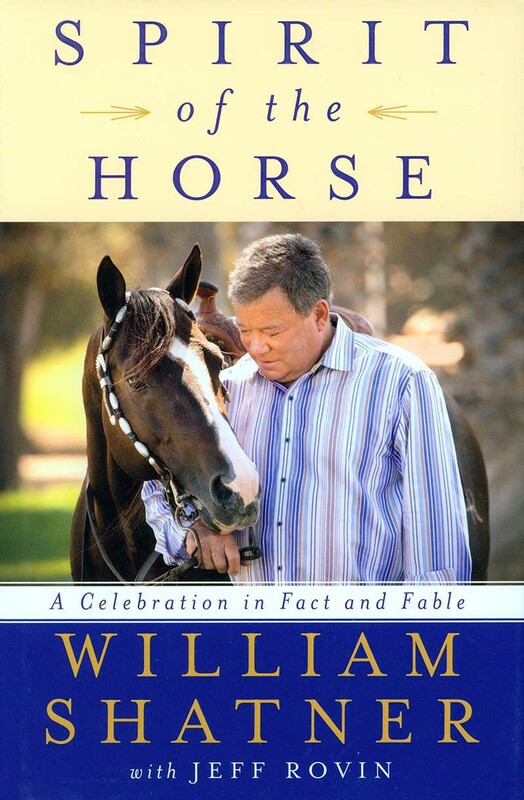 Many fans have heard about Shatner’s passion for horses; few have seen it revealed as completely as it is here.